How Does Bill C-71 Hurt Gun Owners? Strangles lawful, legitimate, licensed people with more red tape that will do nothing to stop violent criminals. It goes after the proven good guys, instead of the proven bad guys. Criminalization. Bill C-71 turns owners of newly prohibited firearms into instant criminals facing 10 years in prison unless you comply with new ownership requirements. In many cases, as in the 10,000 to 15,000 owners of CZ 858 and SAN Swiss Arms rifles, you won’t be notified ahead of time. Confiscation: When the government or federal police prohibit your firearms, you might be allowed to keep them until you die, after which they must be turned in to police or confiscated. You cannot pass them on to family or friends. More Gun Bans. 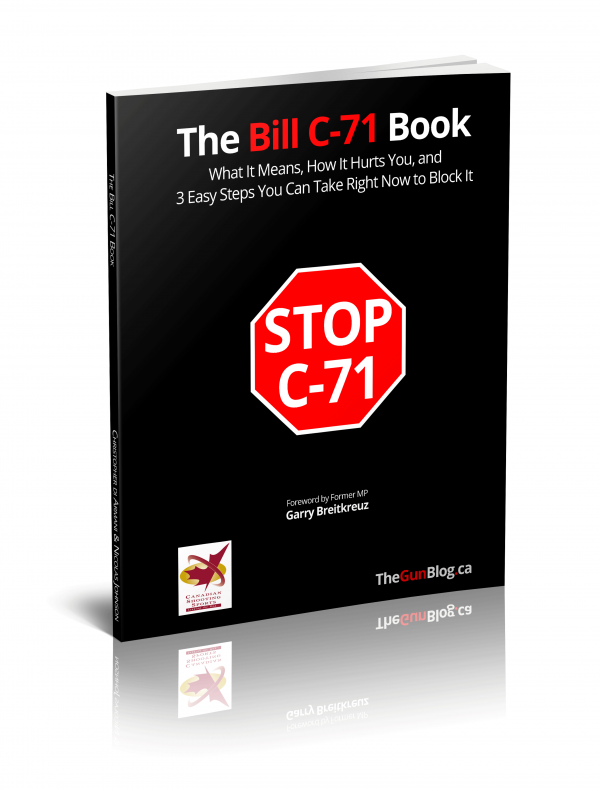 Bill C-71 is a warning that more gun bans are coming. It creates Section 12(9) in the Firearms Act, a new open catch-all category of gun owners who could request delayed confiscation if their guns are prohibited. The only reason to include Section 12(9) is to ban more guns. No Oversight. Bill C-71 gives the RCMP greater leeway to prohibit firearms by removing the government’s ability to easily un-prohibit firearms, fueling concern of more bans and of police overreach. Registration. Bill C-71 makes it a crime to buy, sell or give away any gun without an authorization and a reference number for each potential or actual transaction from the RCMP Registrar of Firearms. Wanted to borrow your dad’s shotgun or a buddy’s rifle for the day? Good luck. Connections Registry. The federal police already know who has a PAL. Bill C-71 creates a new connections registry of PAL holders who are in contact. You must get RCMP permission to sell a rifle or shotgun by telling them your PAL number and the buyer’s PAL number, even if you don’t complete the sale. No Transport: Bill C-71 immediately revokes Authorizations To Transport firearms, except from store to home and between home and target range. Gunshows, gunsmiths, border crossings and airports require special permission. Gun Registry, Costs: Bill C-71 forces gun stores to keep detailed transaction records on every firearm buyer and every firearm purchase for 20 years. This will increase costs that will be passed on to customers. It also makes a great shopping list for thieves if the registry is stolen or hacked. PAL Refusal and Revocation. Bill C-71 expands background checks from five years to your whole life. More people applying for a new gun licence or a renewal could be rejected, and some will decide to not renew rather than disclose private info from long ago. No PAL = No Guns.